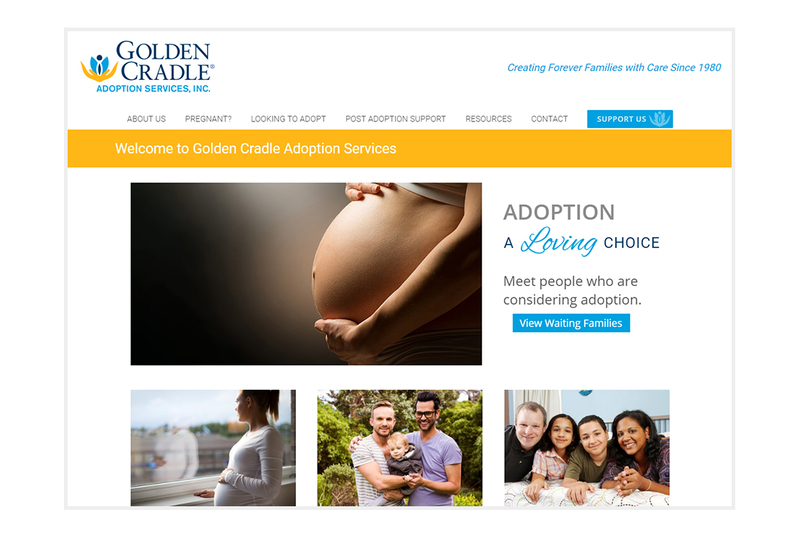 Golden Cradle Adoption Services is a worldwide adoption agency with a tradition of providing caring, personalized service to children, birth and adoptive families. 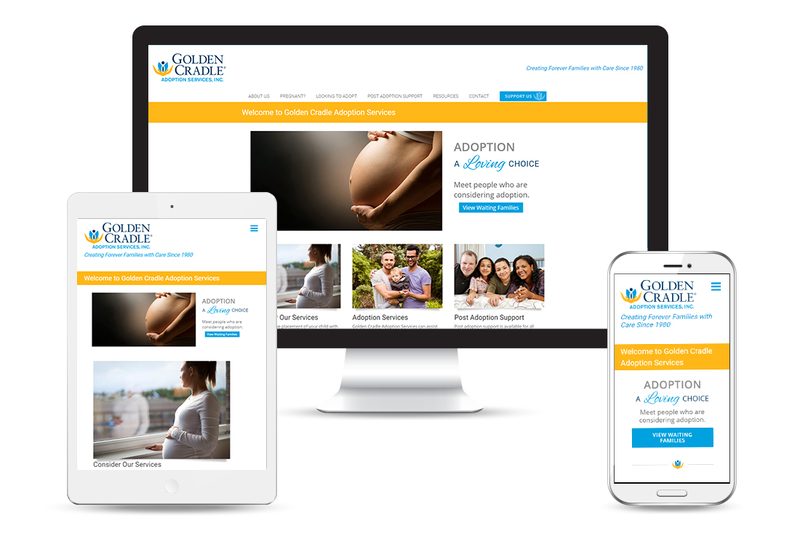 They facilitate the adoption process to best meet your individual needs – whether you are a birth parent(s) considering an adoption plan or potential parents seeking a domestic or international adoption. 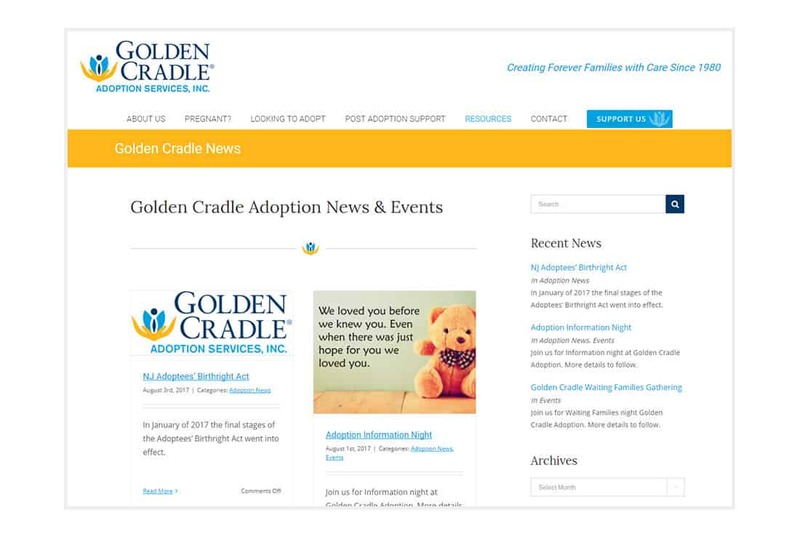 Golden Cradle Adoption came to me during a time of much transition within the organization. They needed a new website that would reflect the new direction of the agency. 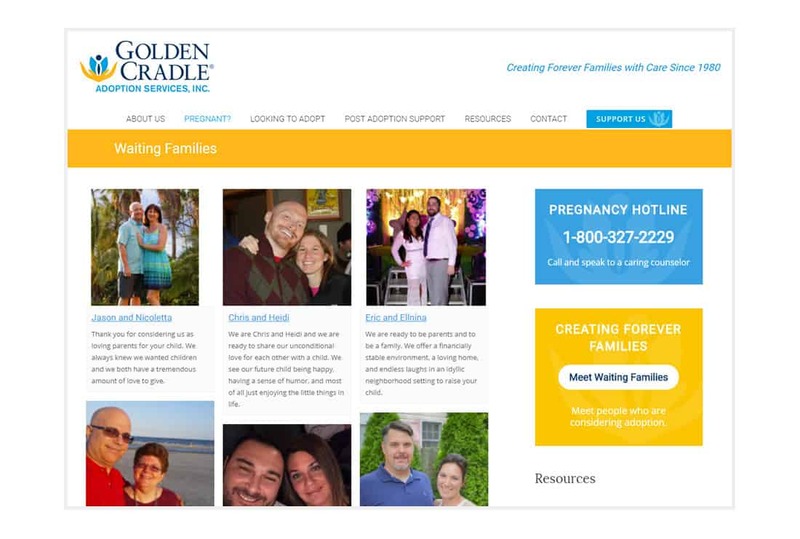 One of the exciting features that they asked for was a way to showcase their waiting families. Both the waiting families and birth families are finding this feature very helpful and it has helped find two matches so far!